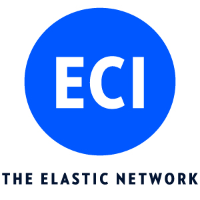 ECI Telecom Ltd is a global provider of ELASTIC network solutions to CSPs, critical infrastructures as well as data center operators. Along with its long-standing, industry-proven packet-optical transport, ECI offers a variety of SDN/NFV applications, end-to-end network management, a comprehensive cybersecurity solution, and a range of professional services. ECI’s ELASTIC network solutions ensure open, future-proof, and secure communications. Tailor-made for today, while being flexible enough to evolve with the changing needs of tomorrow. But what really sets ECI apart is the way they do it – beyond the role of a traditional vendor, ECI chooses to partner with you to better understand your challenges and your needs so that they can better serve you. Since 1961, ECI’s focus has been on you, the customer. Technology and innovation are the tools they use to help you grow your business and achieve your goals. • Security Layer, which encapsulates the portfolio by providing holistic network security.